Why care about Washington, D.C., and why now? People react differently to government after elections: some use post-election periods as a time to engage and others use them as an opportunity to get as far away as possible. 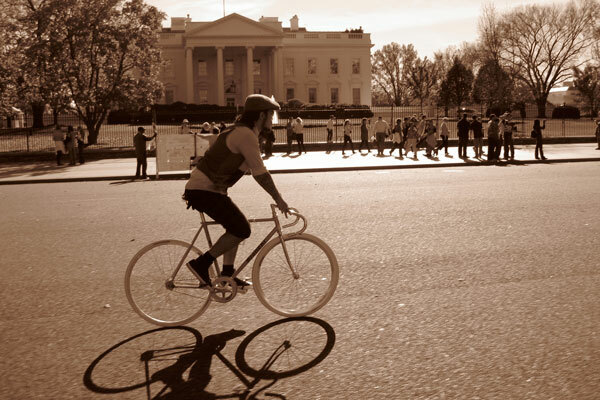 The bike industry must stay engaged politically now and encourage our allies to do the same. Checking out now could be disastrous for our business. First, some good news: our industry is better positioned from a policy standpoint than we have been in more than a decade. Bipartisan champions lead our issues, those opposing our agenda haven’t been able to get support for their anti-bike amendments and legislation, the industry voice is resonating in Congress, and a constant presence of industry executives in Washington, D.C. has helped to educate policymakers on our priorities better than we have ever done in the past. But we shouldn’t get too comfortable in this recent success?new risks are emerging and they are significant to our industry’s bottom line. Even worse, many of them seem to be gaining traction in the new political landscape. It’s hard to prioritize these risks at this stage, but none of them will be easy to overcome. All of them require our industry’s focused attention at all levels. The House Republican proposal to create a border adjustment tax (BAT), for example, has the potential to significantly increase taxes on every bicycle and bicycle part imported into the United States, which covers almost our entire industry. There is another proposal in the House that would reverse the existing caps on debit swipe fees, which would drive up costs for bicycle retailers, big and small. At the same time, the President’s proposed budget will seek to reduce funding for the Department of Transportation by 13 percent and the Department of the Interior by 12 percent, which puts important bicycle infrastructure programs and outdoor recreation venues in immediate jeopardy. Of course, all of this is on top of the issues already facing our industry, including the need to create parity between online and brick-and-mortar bicycle retailers (known as e-fairness), the need to protect $835 million in funding for the Transportation Alternatives Program and $500 million for TIGER Program (federal programs that invest in bicycle infrastructure), the need to preserve core public lands programs that help outdoor recreation (including the Land and Water Conservation Fund), and tracking the litany of trade issues that impact our industry. It all seems a bit daunting, for sure, but the power and strength of our industry far outweighs the challenges we have before us. The U.S. bike business generates $81 billion annually in economic activity and supports more than 16,000 retailers and more than 700,000 jobs. This work force and powerful economic story gives us political muscle in Washington, D.C., but we need to leverage it and now is the time. We cannot turn away because the task seems too big or the news seems too bad; we need to lean into the challenge, secure our industry from the looming policy risks it faces and help support the policy opportunities that will generate industry growth and a larger footprint throughout the U.S. It’s important to our business, important to our consumers and?because bicycles help our transportation, our health, and our environment?it’s important to our country.